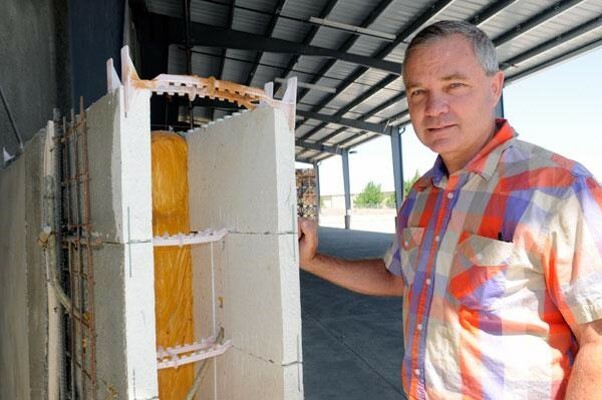 In 1994 Integrated Structures, Inc. began research with a high mass, high insulation, fire and earthquake resistant construction system of its own design and was awarded two US patents. The work evolved in a series of designed and constructed structures, including; wineries, cold storage facilities, religious buildings and custom homes. During the 23 intervening years what began as a structural system that could capitalize on free diurnal cooling energy stored in the thermal mass of the walls, evolved into a smart-building system using active radiant heating and cooling in the concrete “skins” coupled with a super-insulated core. Integrated Structures (ISI) is the brain-child and professional practice for R. Gary Black, tenured Professor of Architecture at UC Berkeley. Over the past twenty-five years, Gary Black and his partner Cullen Burda have pioneered a design process for design-build delivery that offers a viable alternative to the traditional and rigidly defined roles of architects, engineers and contractors. The designs integrate the structure with the space, and the system of construction to provide an owner with an authentic and unique building while satisfying functional and budget requirements. Through this work a number of innovative, energy efficient structures have been created. This led to the creation of STASIS Inc. in 2013 as a company that provides the intellectual property license and technical support for the developed systems. Gary and Cullen first worked with Ray Cole and Axiom Engineers on a winery in 2002. A collaboration of like minded individuals was born and over the next 15 years Ray and his team developed the smart-building controls and the active mechanical systems integral to the Energy Mass™ wall and other Stasis solutions. An Association of professionals who have come together to solve problems and promote a smarter way of making our buildings and conserving our natural resources. Cullen is an expert in the art of making, combining the disciplines of construction and fabrication with those of structural engineering and architectural design. For 16 years he has been the Vice President of Integrated Structures, a Berkeley based design-build firm. Gary is a distinguished faculty member at U.C., Berkeley and for thirty years has been the head of the structures and construction area in the department of Architecture. He is the chief designer and president of Integrated Structures, author of over twenty scholarly papers, and inventor with several US patents to his name. After starting his career in areospace, Ray has managed Axiom Engineers for the last 26 years and has become a leader in the industry. Providing mechanical engineering services for over 300 projects a year, Ray continues to be a thought leader on co-generation, process control system and high performance buildings. With forty plus years of sales experience, Carter worked for Xerox, Apple and AutoDesk before going out on his own to form POET sales Consulting. He has headed up the business development for Stasis for the past four years. An avid swimmer and active in community service.